I love recaps and I hope you do as well. Like the last few years, I’ll start the new year by looking back over some of the truly tasty recipes that came out of my kitchen in 2011. Maybe later I’ll write a post about the past year, but for now, I’ll stick with the recipes. Is there anything that you’ve made over the past year that has become one of your favorites? If so, let me know in the comments! 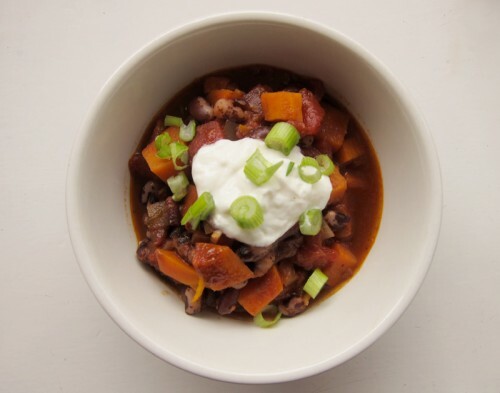 Yam & Bean Orange-scented Chili. I made this last year when Vancouver was just starting to transition into spring and I think this would make a wonderful meal to eat after a month of crazy indulging. Something warming and comforting and healthy. Yes please! 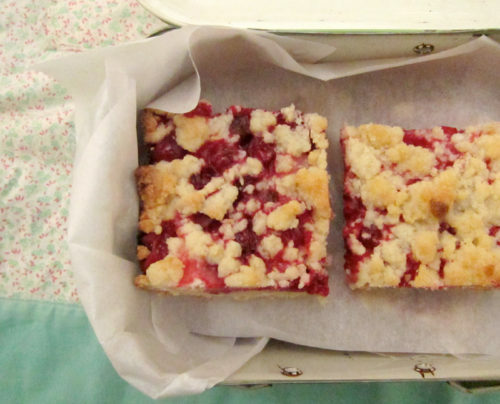 Cranberry Lemon Squares. Love the tart and the sweet? These bars are simple to whip up and pretty to look at too. I made these for a friend’s birthday and they were just the ticket to pull her out of a cold February! French-Style Carrot Salad. Wow, if you haven’t made this salad yet, I’m not sure what bit of prodding you need. 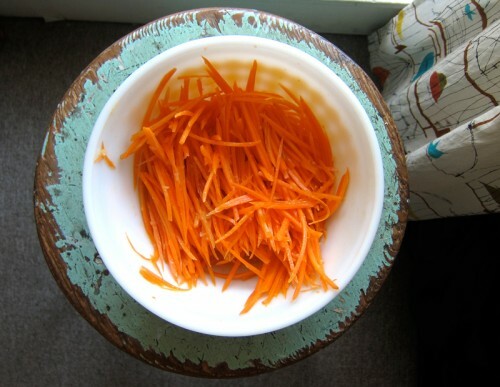 I make this salad frequently and because of it, I’m surely upped my beta carotene quota for the year. Highly delicious and ridiculously simple. 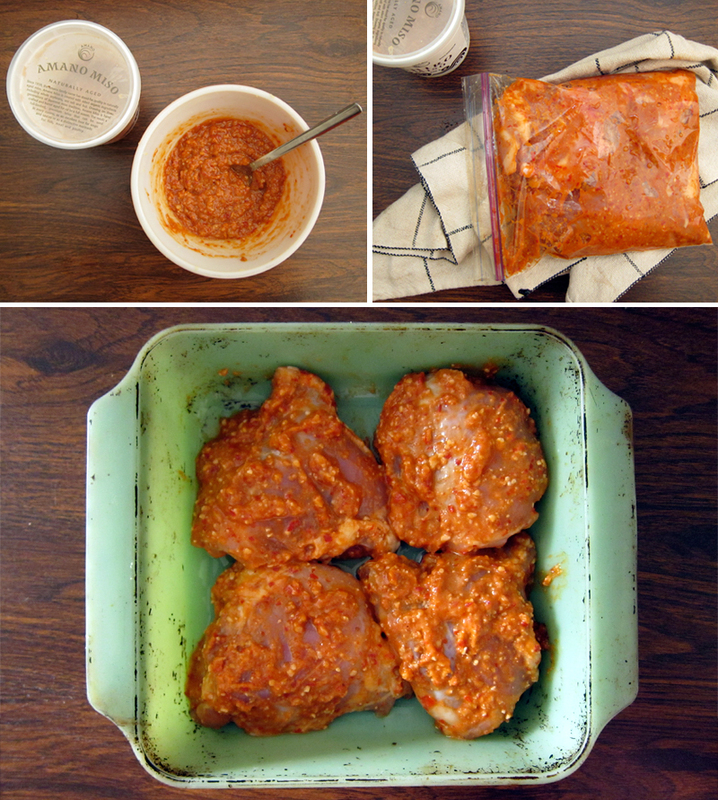 Spicy Roasted Chicken Thighs with Miso & Ginger. I didn’t want to include 2 chicken recipes in my top list, but I was also tempted by this recipe. But this miso one nudged by because of its sheer power punch to the taste buds. Pow! Right to the kisser. 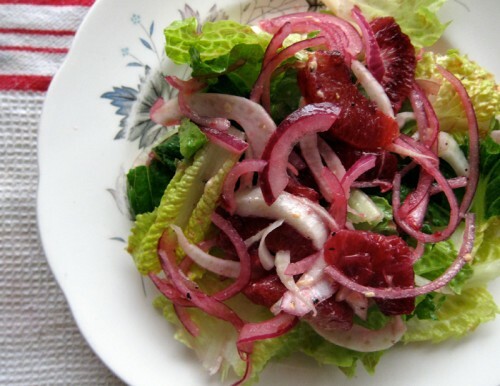 Fennel, Grapefruit, & Blood Orange Salad. The perfect winter salad with bite and texture and colour. There isn’t a prettier salad out there, in my opinion. Butterscotch Confetti Squares. Trashy? You bet. But tasty? Oh yeah. I’m so surprised I liked this one so much since I’m not a huge fan of marshmallows….and coloured, fruity marshmallows at that. But trust me on this, just whip up a batch and you’ll be hooked. 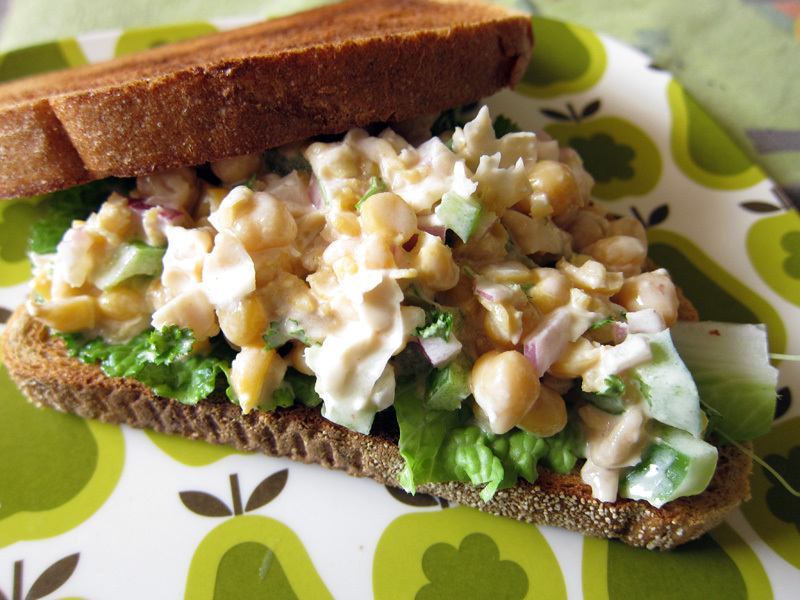 Smashed Chickpea Lemon Salad Sandwich. Ever since I’ve made this I’ve been looking forward to a repeat and it’s gonna happen this week. A quick little salad that you can eat between slices of bread or it can be eaten right out of the bowl. Disappears quickly. 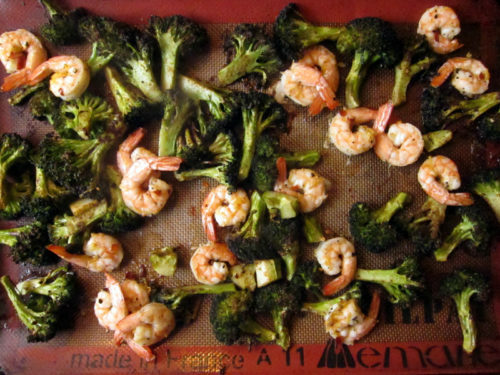 Spicy Roasted Broccoli & Shrimp. Yeah, there’s not much more to say about this winner. Shrimp and broccoli and served over rice. A tasty meal without a whole lot of fuss. 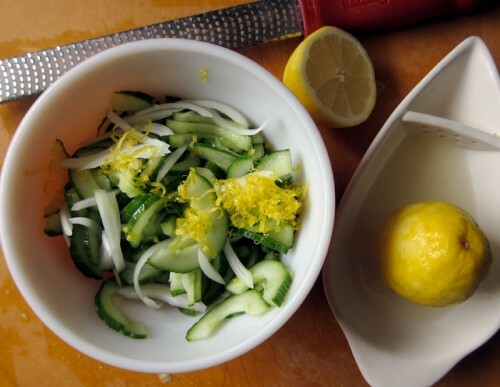 Lemon, Onion & Cucumber Salad. This one really made me love the cuke. Simple, fresh and refreshing. Garden Fresh Salsa. 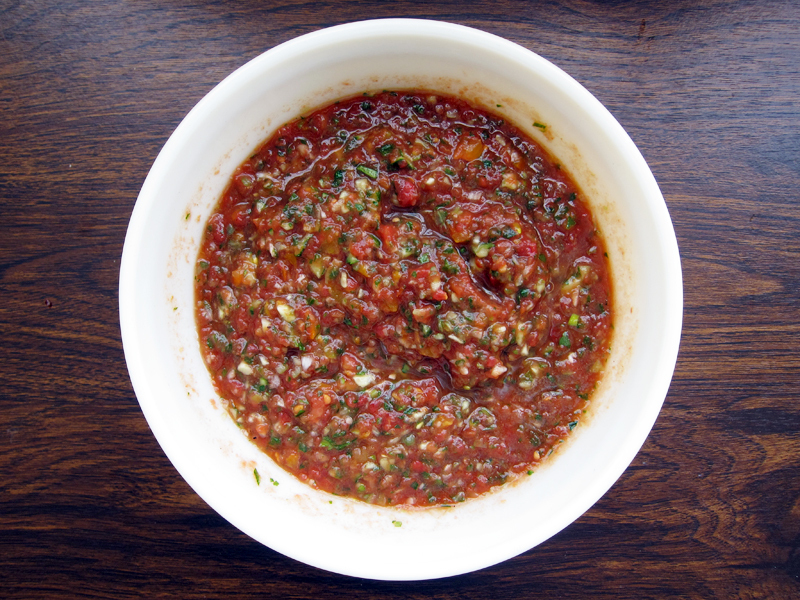 No lie, I make this salsa on a bi-monthly basis. In the winter, use canned tomatoes + garlic + peppers + onion + cilantro + lime. Me, a good bag of salty tortilla chips and this salsa and I’m one happy camper. I’m ashamed to tell you how often this has been my dinner. Coconut Lime Cake. I made this for Cornelius’ birthday last year and it’s a lovely cake for any occasion. Lime + coconut. ‘Nuff said. 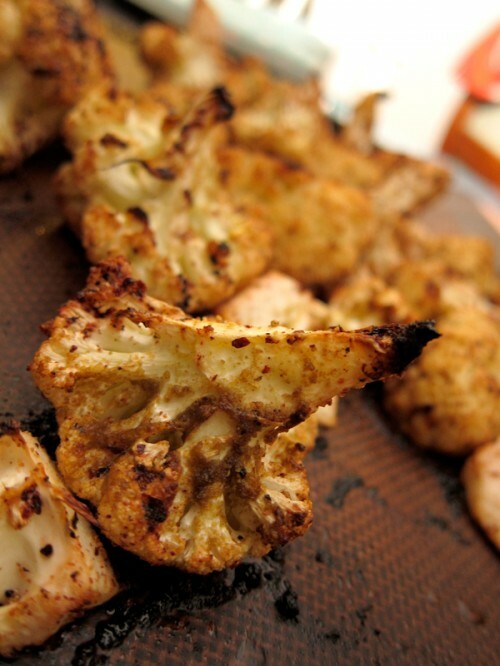 Lemon Roasted Cauliflower with Cumin & Sumac. I wanted to recreate the awesome cauliflower from a local restaurant. The trouble is, there’s is deep fried and I just didn’t want to go there. This is close second and a whole lot healthier. Lovely recipes! I’m especially intrigued by the chickpea salad and that cake sounds delicious! Happy New Year! Your recipe for the kale, sausage and chickpea dinner! We make it once a week! I made the cranberry-lemon squares twice last month. They were THAT good! 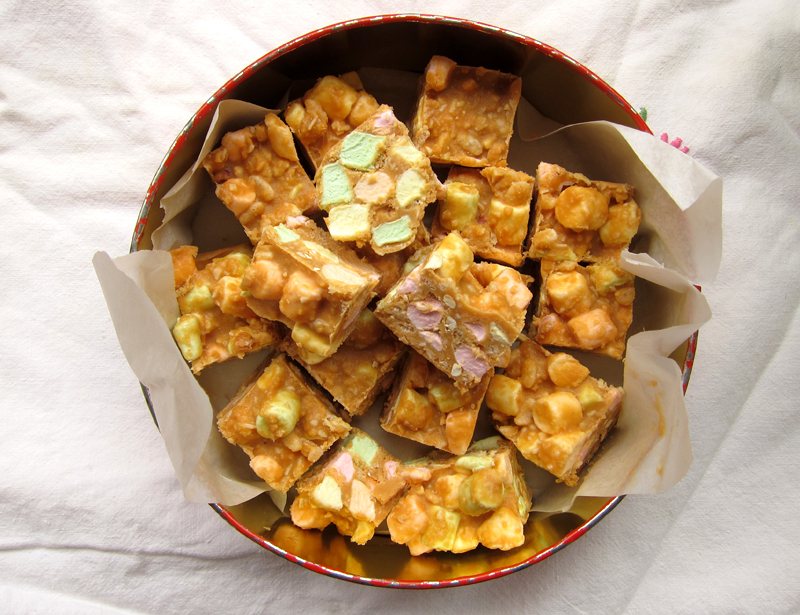 And as for the butterscotch confetti squares, I was pleasantly surprised at how much I enjoyed them. 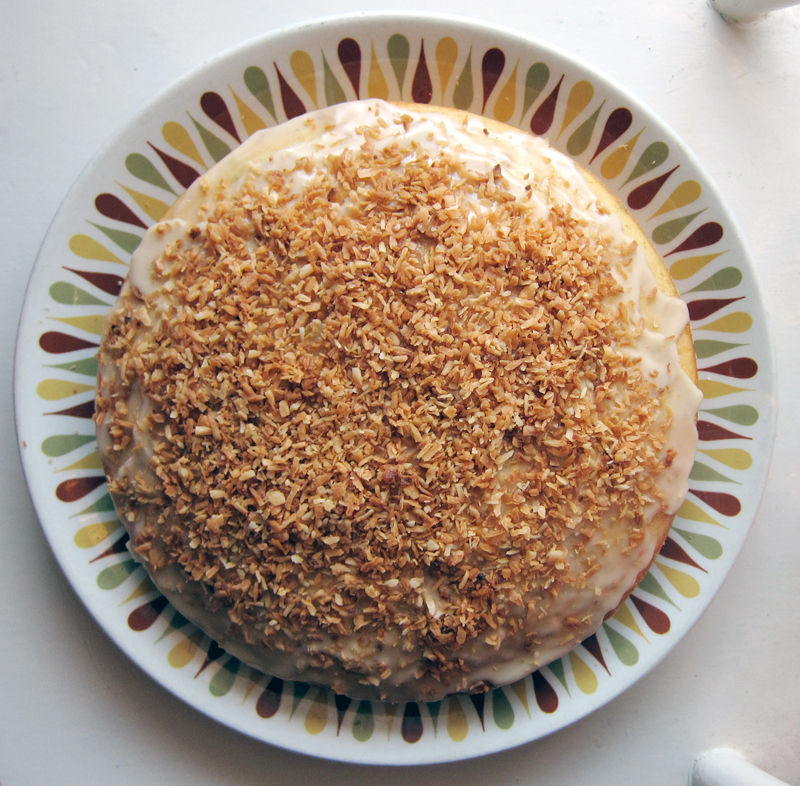 I still want to make the coconut lime cake and the roast chicken with miso & ginger. I love roasted cauliflower too but I just can’t find sumac. Looking forward to what you plan to make and share with your followers in 2012! Glad to hear it, Jab! Joanne, you made them twice? Quite the recommendation! I think you could go ahead without the sumac for the cauliflower – it just adds a bit of tartness to the dish. Try it! I love these round-ups also and I think I had bookmarked just about all of them! I have some cranberries in the fridge that are about to die, so those cranberry lemon squares HAVE to happen soon! Thank you for sharing your recipes. I love them all, but must tell you, I especially love the spicy roasted broccoli and shrimp. It has pretty much been weekly fare since you posted. Merci! i love YOUR round ups! reminds me of what i missed! lovely re-cap! i love that cauliflower too! and your bittersweet chocolate cookies, garam masala cookies and vegetable barely soup are among my faves this year. 🙂 happy 2012! Haha, thanks Joanne! I think you do have to make those squares – they’re keepers for sure. Nicolena, I love to hear that! Glad that recipe has become part of your repertoire! Yes, that is such a great dish, Danielle! I was tempted to include that one as well. Patricia, those are sure favorites here too! Thanks! So many yummy things here! I love recaps but really only those written by my favorite bloggers. Happy New Year to you and the hubby. Maybe 2012 will be the year we finally meet? These are amazing, it’s great to look back on a year and see so much that you can be proud of on the blog! Hope you have an equally tasty 2012! Great recap. I’m not sure how I missed some of these through the year (hello coconut cake!) but I’ll be trying them for sure. One of yours that has become a standby for me though is the curried apple and lentil dal. I’ve been making it most Sundays lately – I love having something warm and fragrant on a cold Sunday night! I really like the Smashed Chickpea and Lemon Salad Sandwich. SO YUMMY! My toddler loves it, too. I make a similar roasted cauliflower recipe and add green olives, capers, and chickpeas to the roasting pan. We simply cannot get enough of it! Happy New Year! May 2012 be a year filled with love, happiness, and smiles! Dramatic Pancake, oooh those chickpeas are delicious, aren’t they? You’ll have to make the cake, it’s a good one! Yes, would love to meet up soon, Dana! Maybe 2012 is the year!! Thanks Debra – there’s a new apple dal now too! Try it and see what you think. Glad you’ve found some favorites. I love year end roundups too. It reminds me of the things I wanted to make from a blog that I forgot about like your salsa and that smashed chickpea sandwich mmm. That’s why I love roundups too, Ashley!